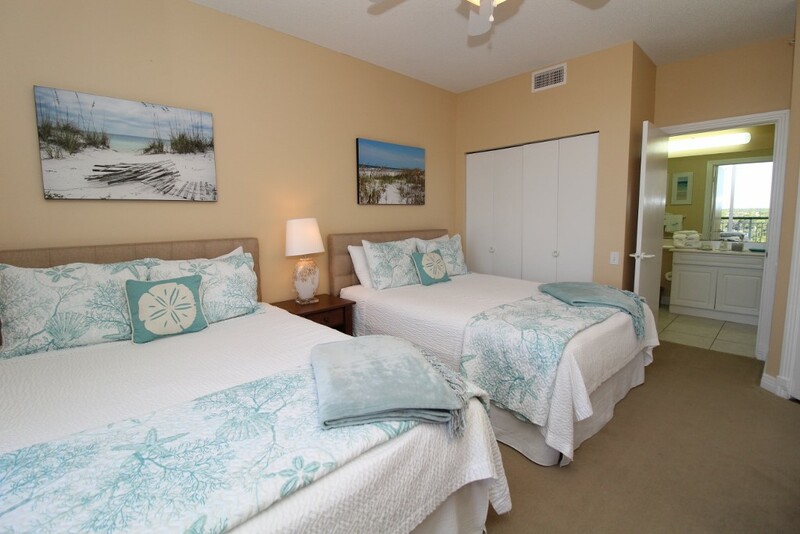 Come visit the Beach Colony Resort and experience your best vacation yet! 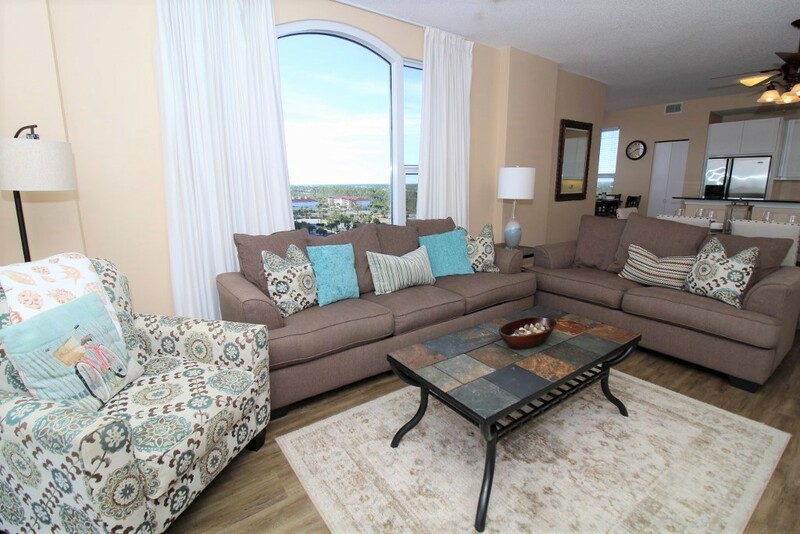 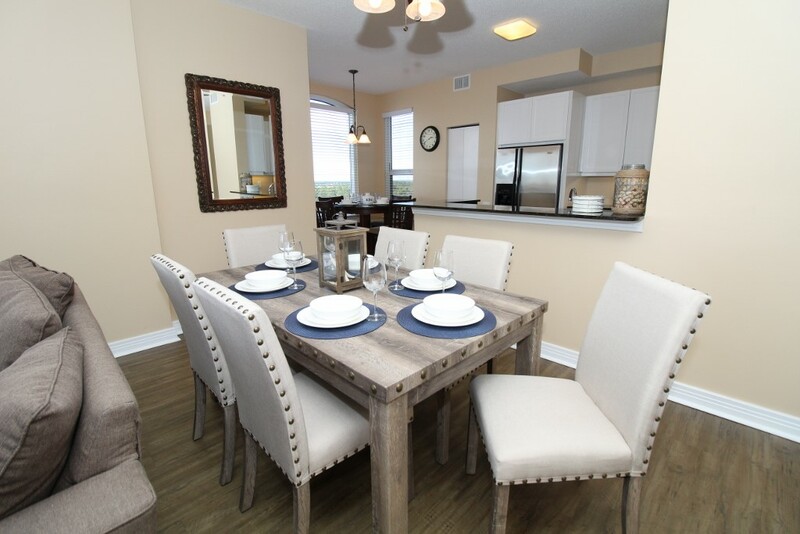 This stunning 3 bedroom, 3 bath unit is located in the desirable East tower, and features tons of new upgrades and luxury touches as of June 2015! 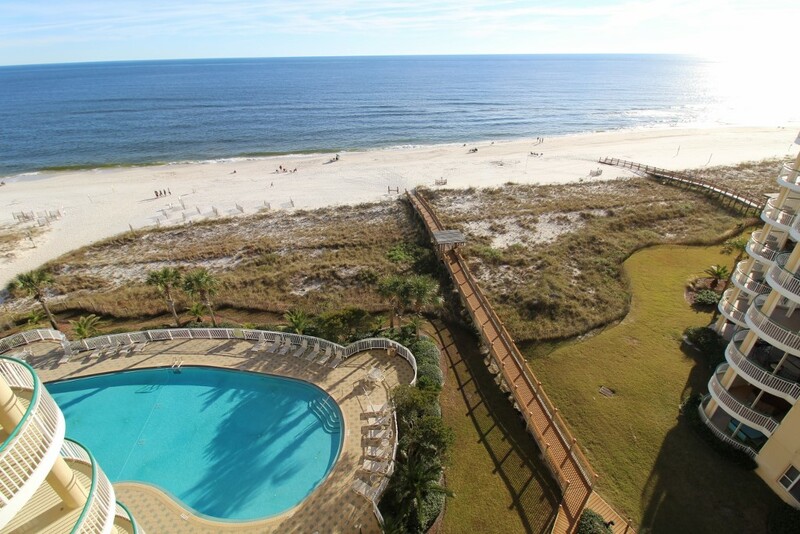 Situated on the quaint and picturesque East end of Perdido Key, this resort pairs recreation with relaxation and offers every amenity imaginable, including 2 outdoor beacfront pools, an indoor heated pool with a jetted spa, tennis courts, a state of the art fitness center and a charcoal grilling area. 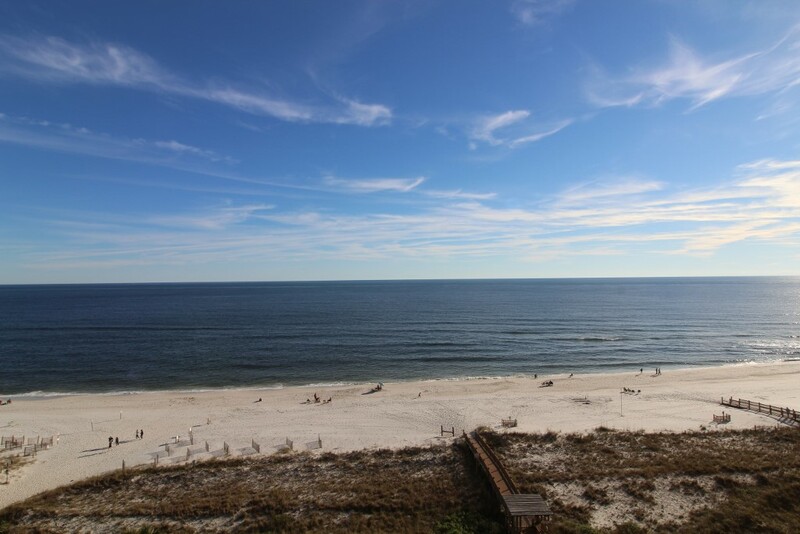 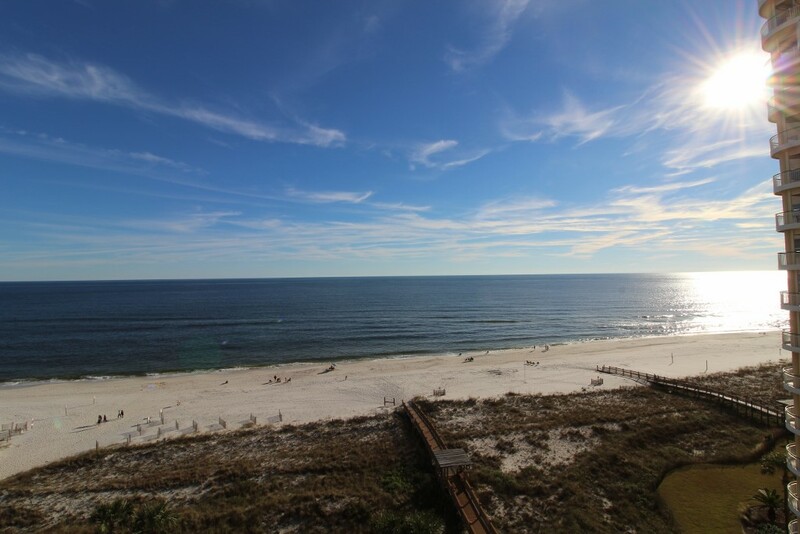 The sugar-white sand and emerald waters of Perdido Key's beaches are simply breathtaking, and create the perfect setting for a vacation that you’ll never forget! 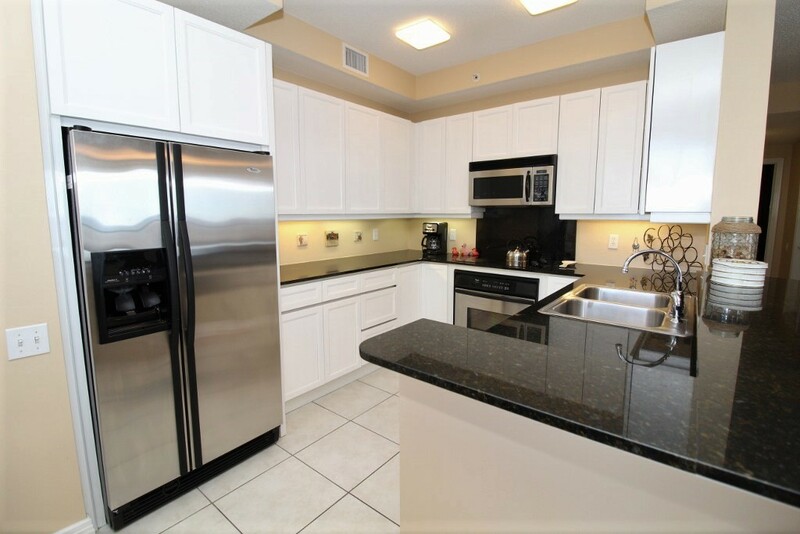 This unit offers close to 2,000 square feet of luxury to enjoy, hosting an open and spacious floor plan, designer furnishings and the most amazing views! 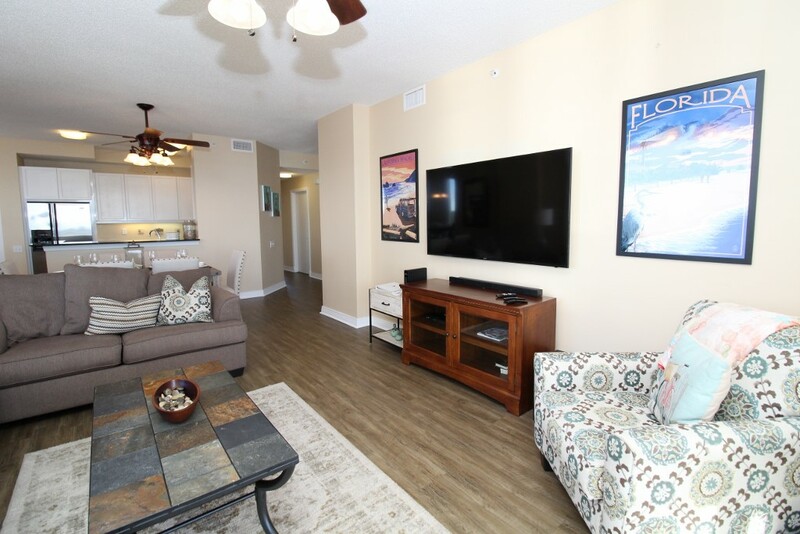 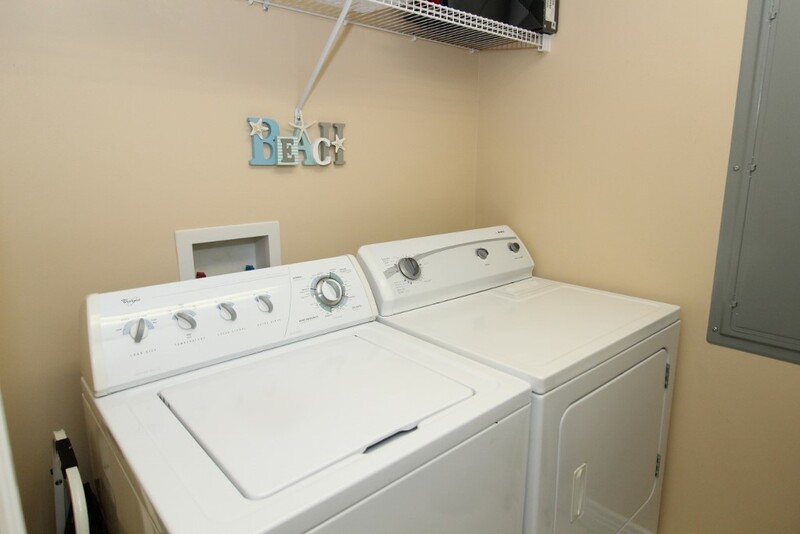 Fresh paint and brand new carpet throughout, brand new state-of-the-art flat screen TVs, and new luxury balcony furnishings are just a few of the upscale additions in this incredible space! 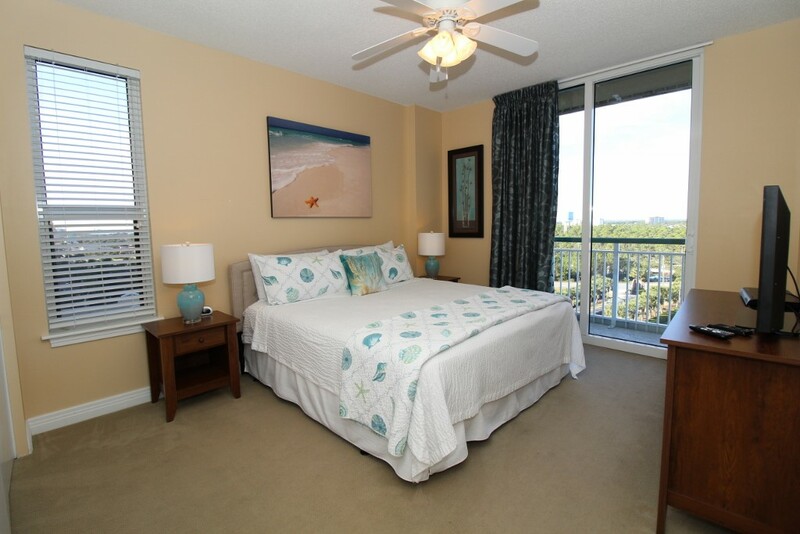 Because this is an exclusive corner unit, the western side has additional windows and affords dramatic sunset vistas, which you can enjoy from your oversized balcony! 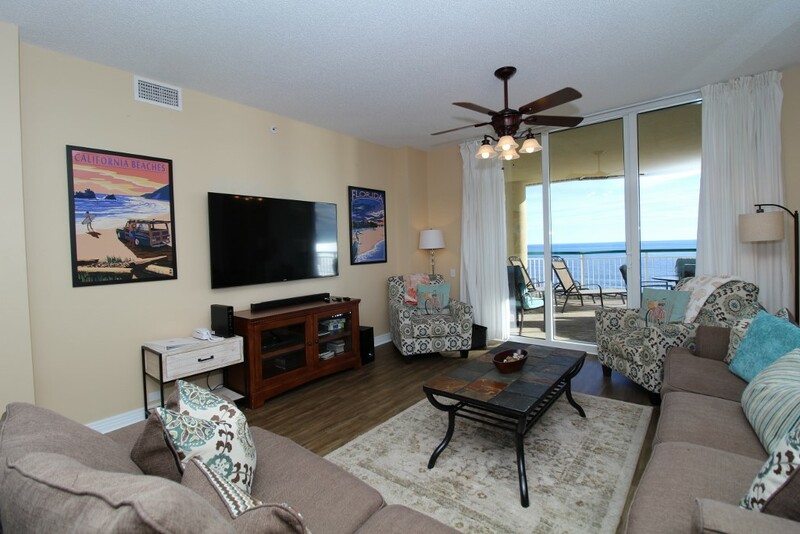 Adorned in a modern beach-chic décor, the living area boasts a plush sofa and loveseat, a huge LCD television and most importantly, beachfront balcony access! 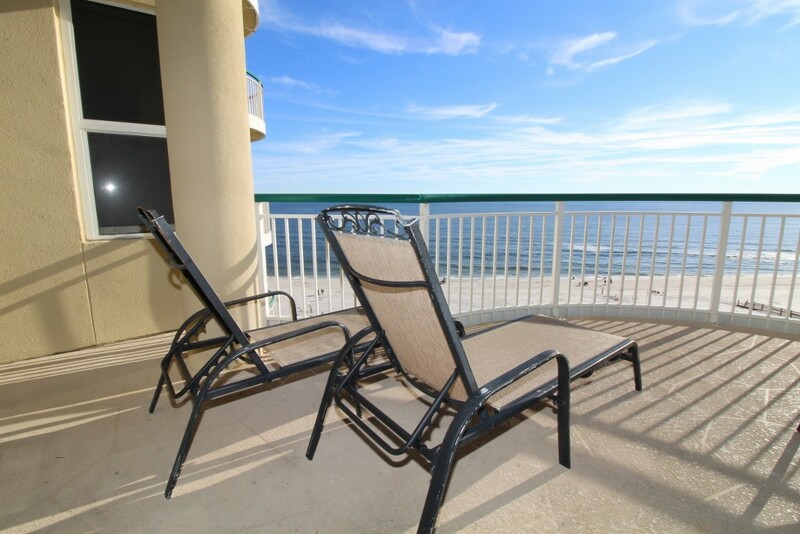 The covered terrace has ample seating and 2 cushioned chaise loungers where you can sip a glass of wine and even dine al fresco while taking in the immaculate beauty of the Gulf Coast. 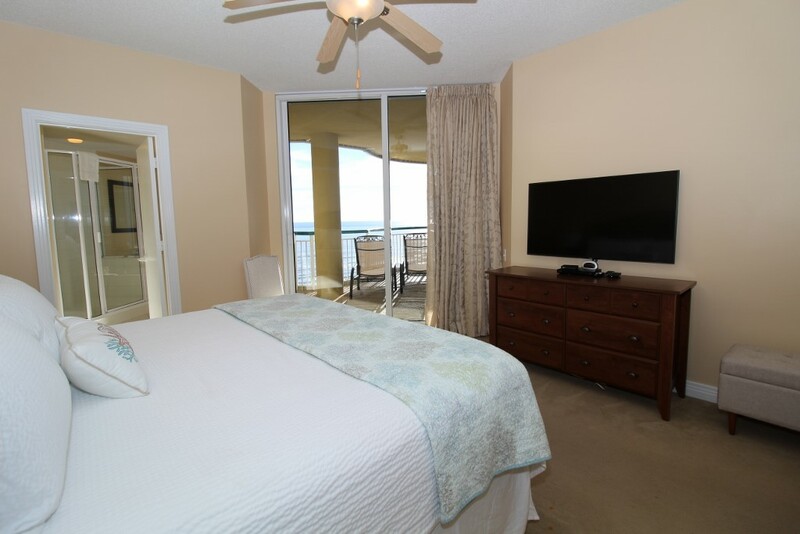 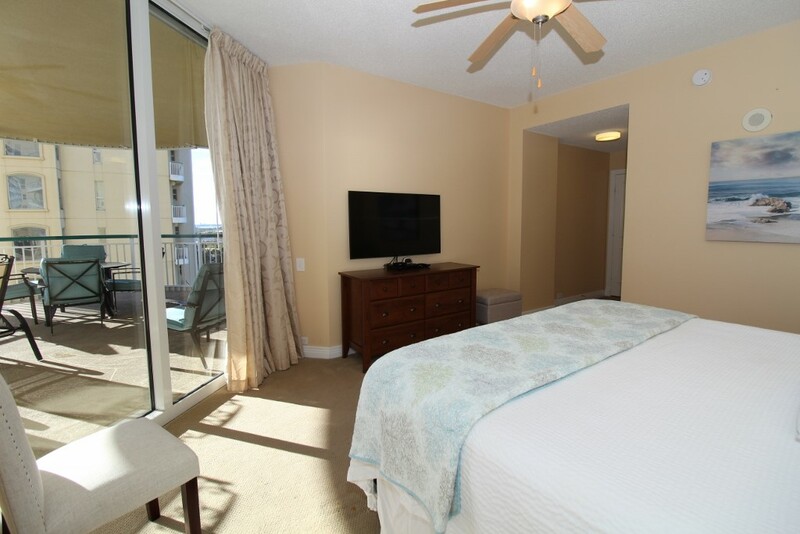 The elegant master suite lives up to its name, hosting a beautiful king bed with luxurious linens and bedding, a large LCD television and beachfront balcony access! 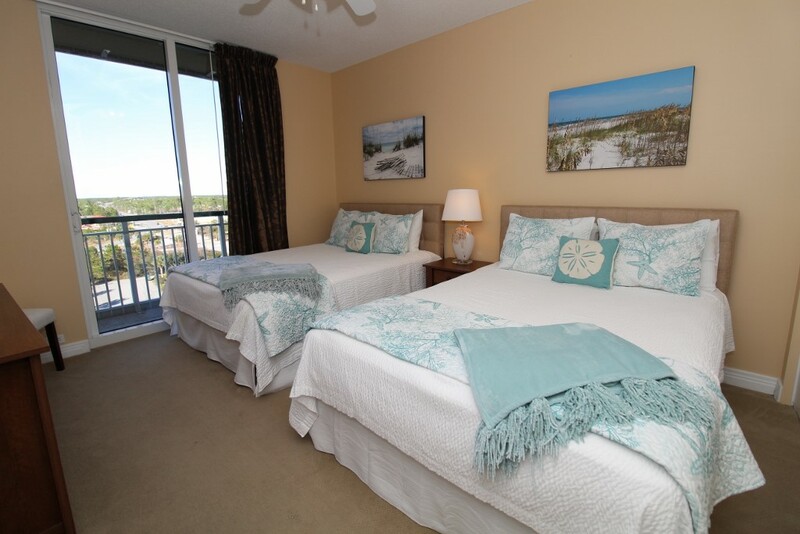 You can delight in the breathtaking views without even leaving your cozy bed! 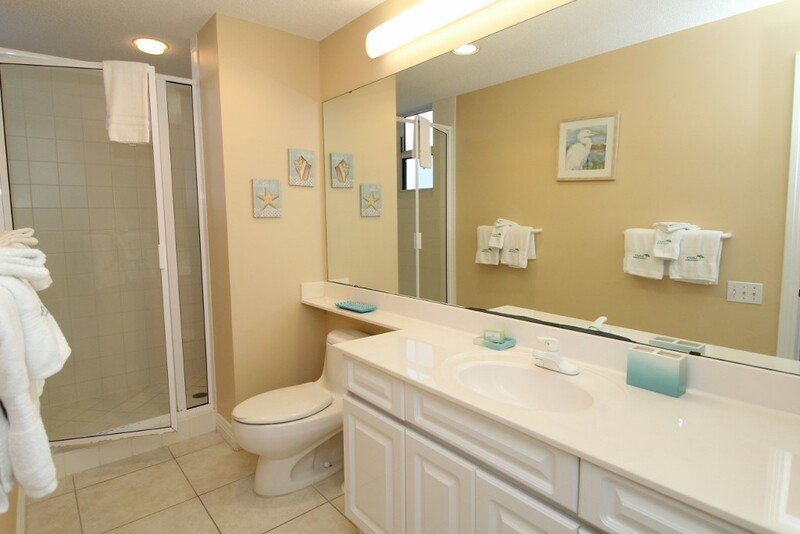 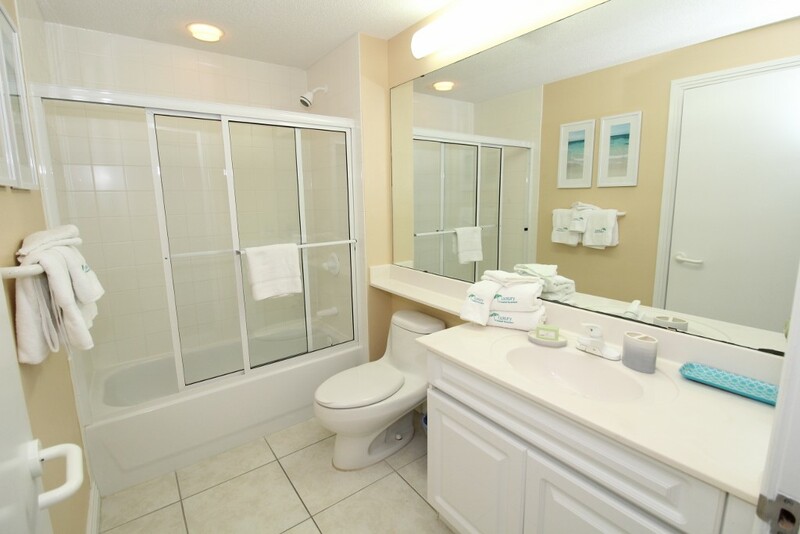 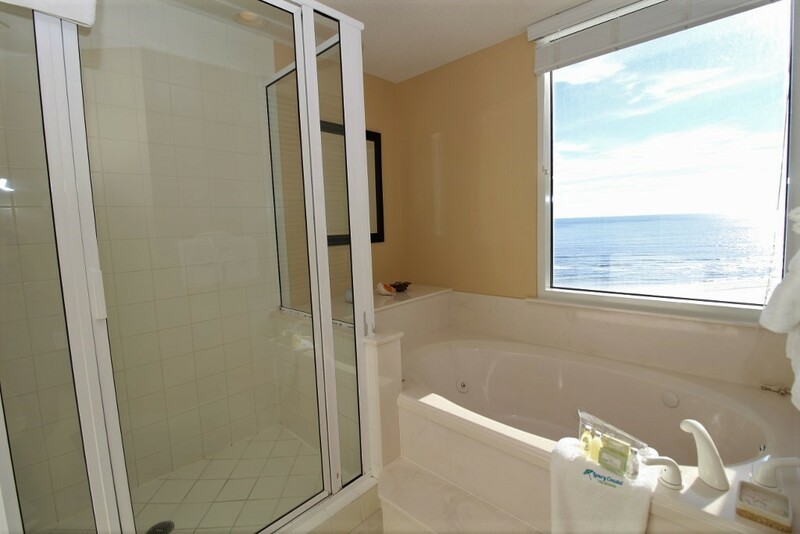 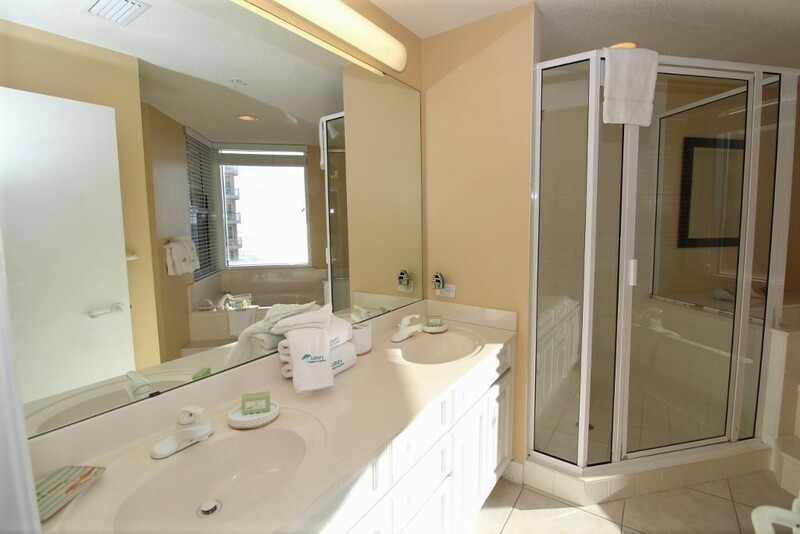 The ensuite bath is equally impressive, featuring a 2-person jetted tub overlooking the gulf, a separate glass and tile shower and double vanities. 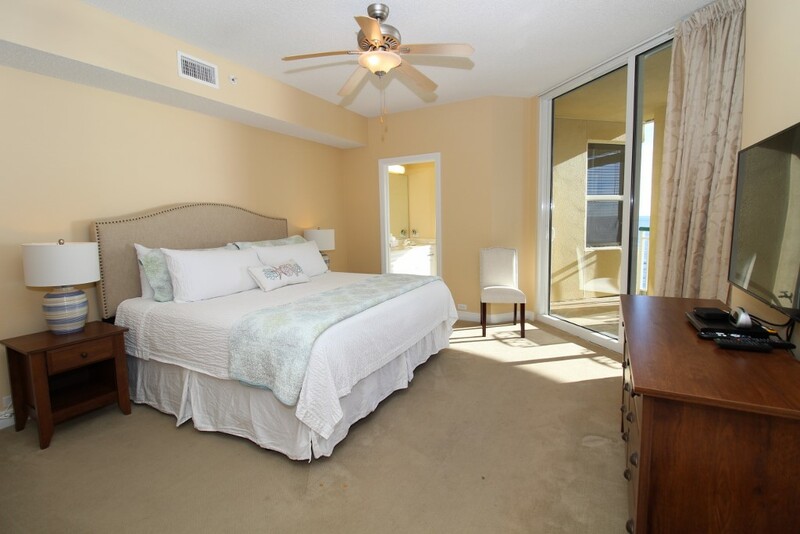 The second bedroom functions as a second master, with a king bed, luxury linens, private bath and north balcony access! 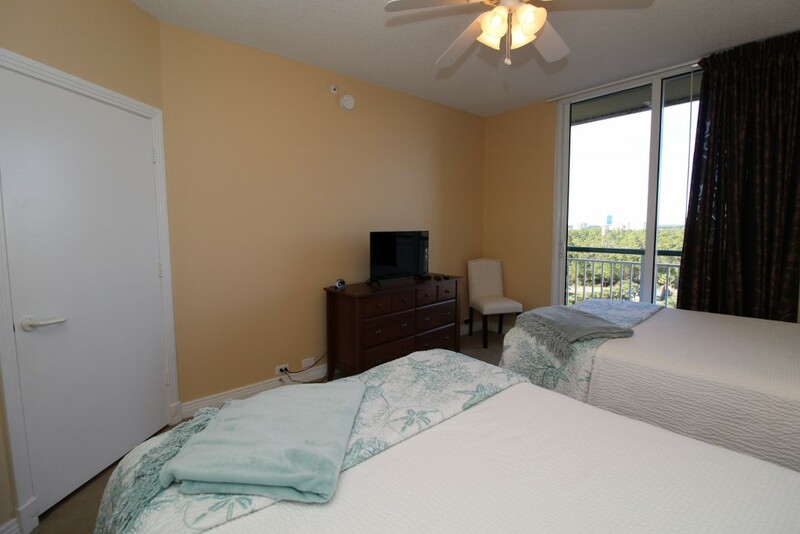 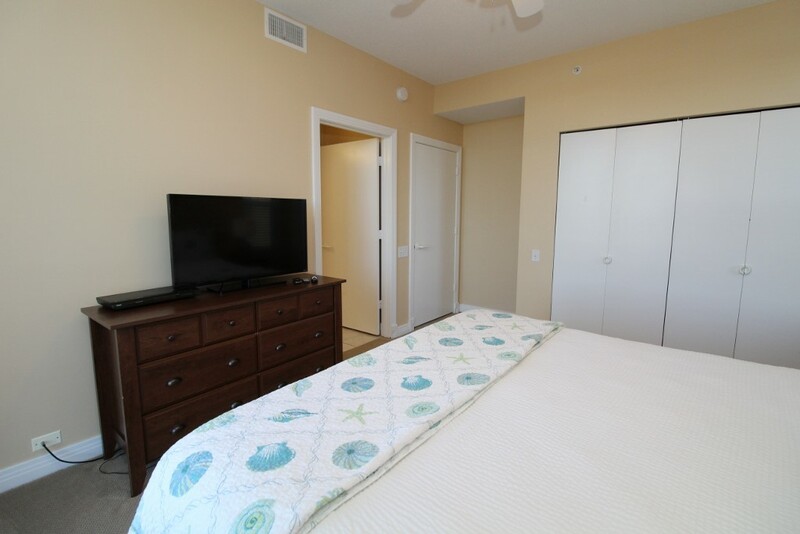 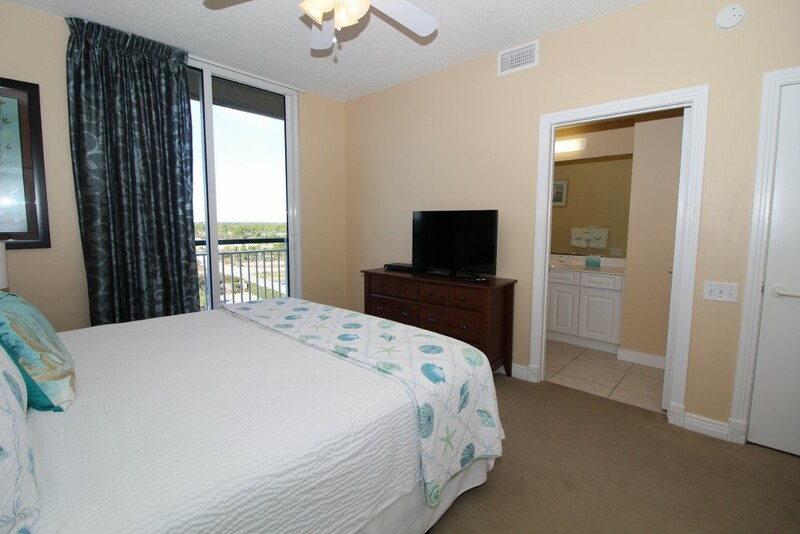 The third bedroom features two queen beds, private bath and north balcony access as well, with stunning views of Old River, the Intercoastal Waterway and Perdido Key! 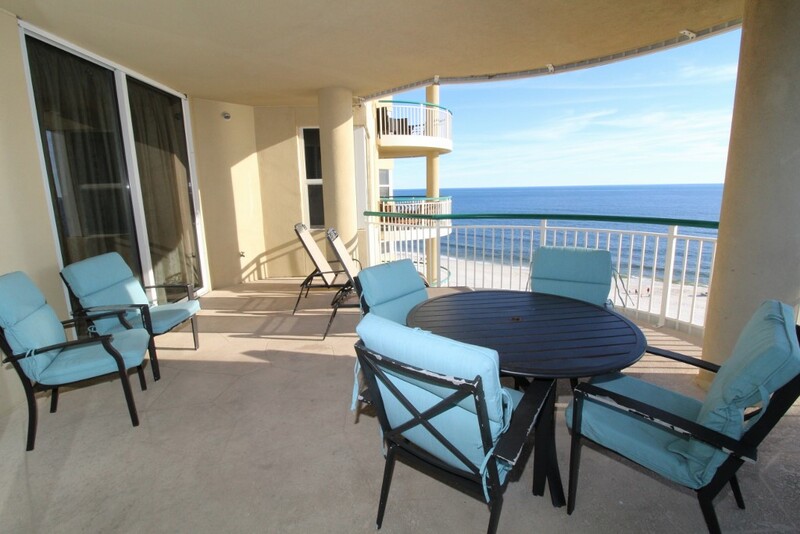 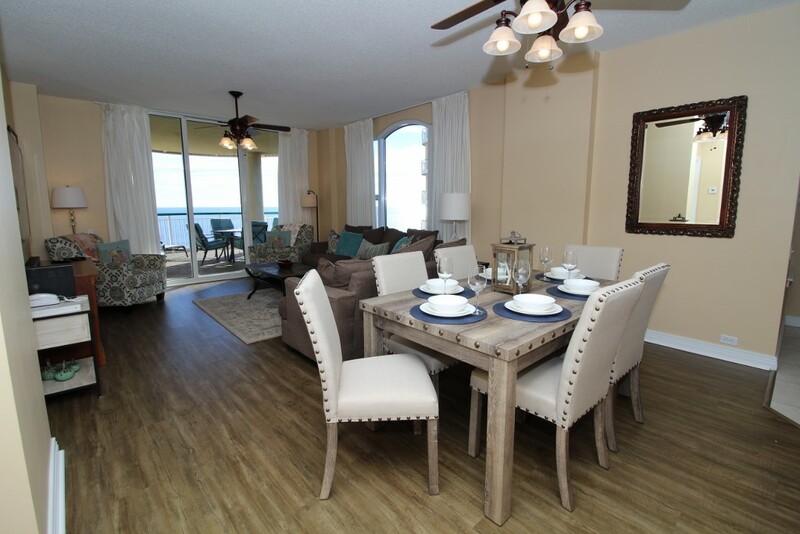 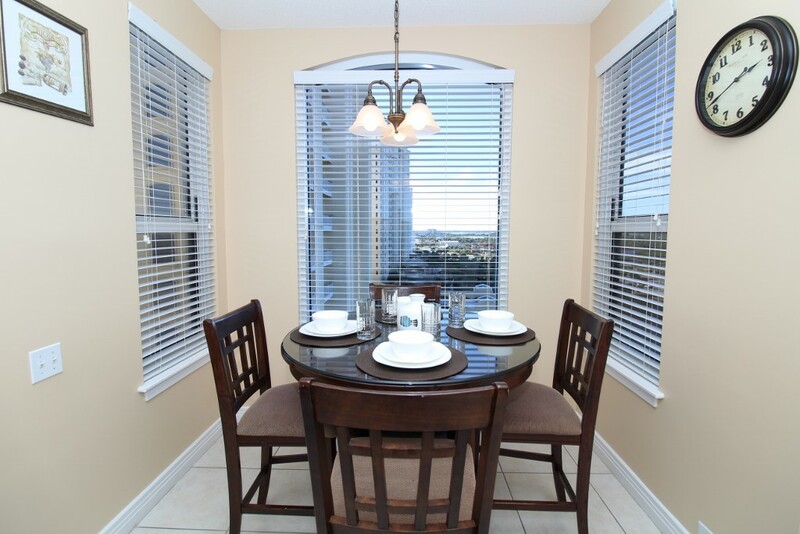 Loved this condo and loved the location even more!! 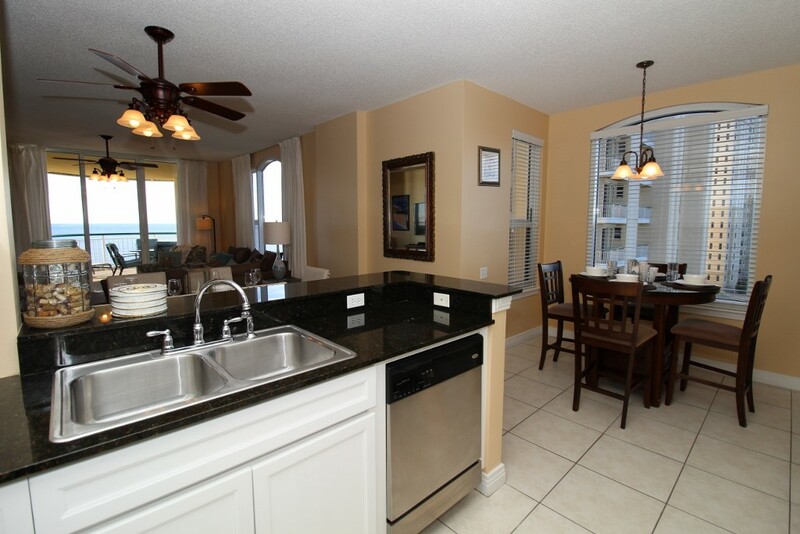 Enjoyed our stay no complaints, beautiful condo.